Thailand is a fascinating destination for a family trip – children are welcome everywhere, and even in the rainy season it doesn’t get cold. Thailand is in the middle of Southeast Asia, and has an astonishing number of beautiful locations, exciting activities and historic monuments to visit. 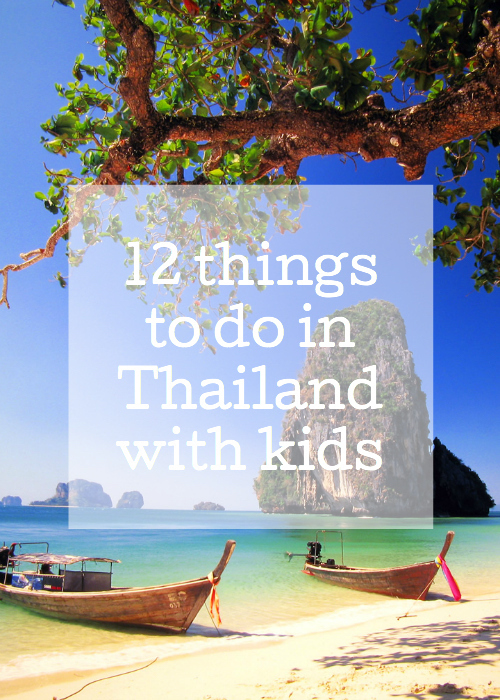 Here’s my selection of 12 great things to do in Thailand with kids. 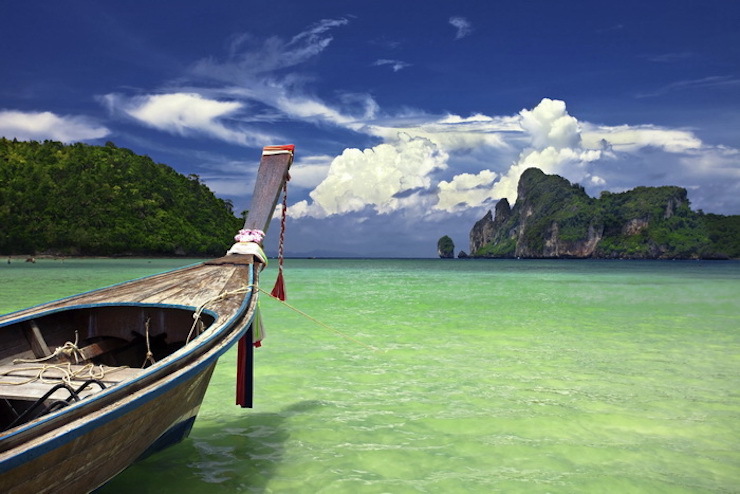 Whatever kind of beach you like, you’ll find it in Thailand: the country has 3,000 miles of tropical coastline. Popular family beach destinations are Hua Hin, Thailand’s first beach resort, and Phuket, the country’s largest island. Blogger Ting Dalton has written this post about things to see and do in Hua Hin. Traditional wooden long-tail boats are seen in many parts of Thailand, especially around the small coastal town of Krabi, gateway to islands such as Ko Phi Phi and Ko Lanta. There are some great opportunities for snorkelling at various places around the coastline. 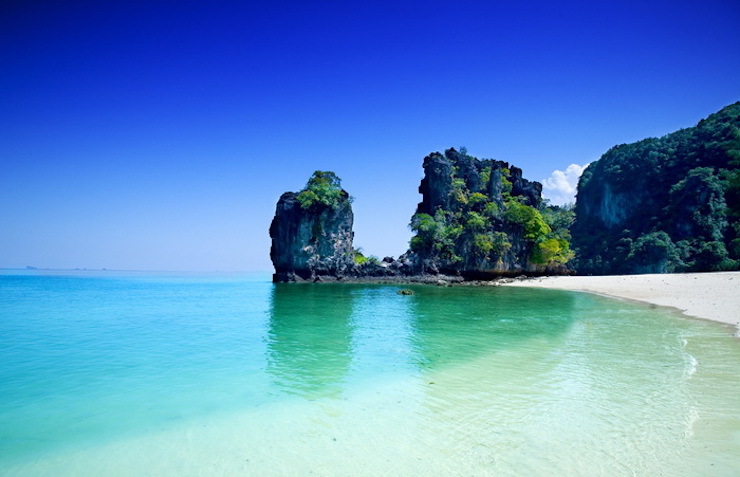 Koh Lanta Yai and Koh Yao Noi are recommended destinations. Khao Sok National Park is one of the world’s oldest rainforests, and is home to large mammals such as bears, tigers and elephants. Situated midway between the Andaman and Gulf coasts, the park is a great place for jungle trekking, canoeing and spectacular boat tours at Cheow Larn Lake. Thailand is one of the world’s top rice exporters, and some of the country’s rice farms offer visitors the chance to learn how rice is produced, by planting rice and helping with the harvest. Flight of the Gibbon, near Chiang Mai, is a zipline attraction in the rainforest. Children from five years old can take part. 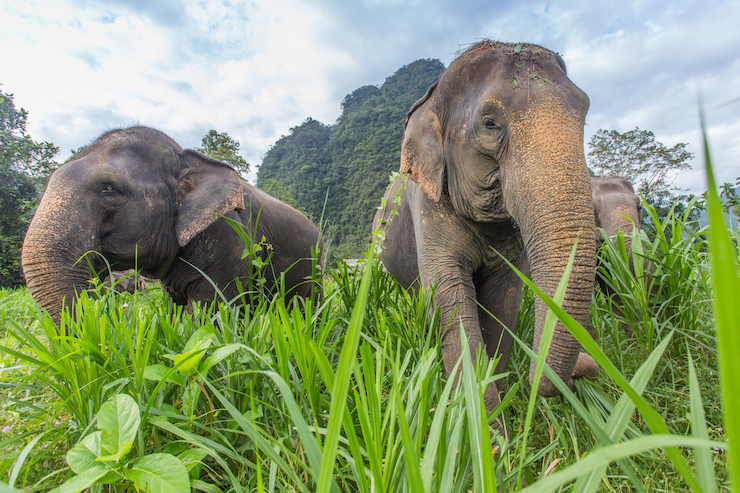 There are an estimated 2,000 – 3,000 elephants living in the wild in Thailand, and as many as 4,000 living in captivity. Some of these endangered animals are captured from the wild for tourism, and some are treated cruelly, so make sure that any elephants which you visit aren’t being exploited. 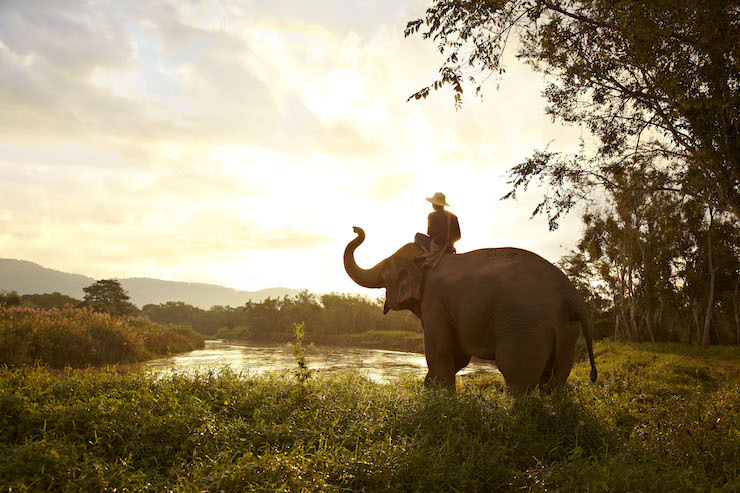 Blogger Becki Enright has written an excellent post about elephant tourism in Thailand. Bangkok is Thailand’s capital and is a 24-hour city. It has glittering historic temples and floating markets to explore, as well as some great shopping malls – and a Hello Kitty café. Blogger Nisbah Hussein wrote this post about things to do in Bangkok with children, after a trip there with her family. The Grand Palace is the former royal residence and is the most popular attraction in Bangkok. Within the palace complex is the Temple of the Emerald Buddha, Thailand’s most sacred place. Thailand is a Buddhist nation and there are temples (wats) all over the country. These are beautiful buildings and interesting places to visit – if you visit a temple, you need to dress and behave respectfully as they are places of worship. Thai food is a delicious mixture of fresh and fragrant ingredients which is popular the world over. Try tasty dishes such as massaman curry, sticky rice, pad Thai and satay. Learn how to cook local dishes by taking a family cooking class. Places like Bangkok and Chiang Mai offer experiences where you shop for your ingredients at a local market and then cook. Some hotels also offer this option. 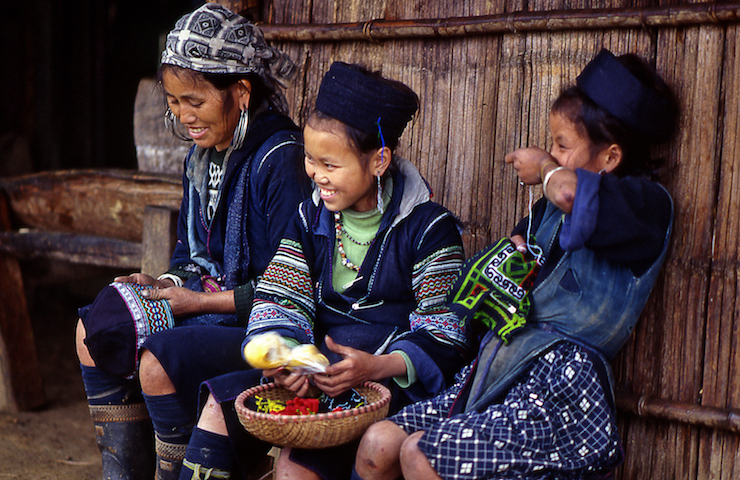 Do you have any recommendations for family-friendly things to do in Thailand? Disclosure: This post is sponsored by The Turquoise Holiday Company, who specialise in long haul luxury tailor-made holidays. Check out their Family southern beach & jungle adventure. It’s such a wonderful destination and found the Thai people so welcoming. Love to go back again and soon! Thank you for including us too. You’re welcome – your trip sounds fantastic! One place I’ve not been is Thailand! Looks stunning. It does – the Turquoise holidays photos are beautiful.